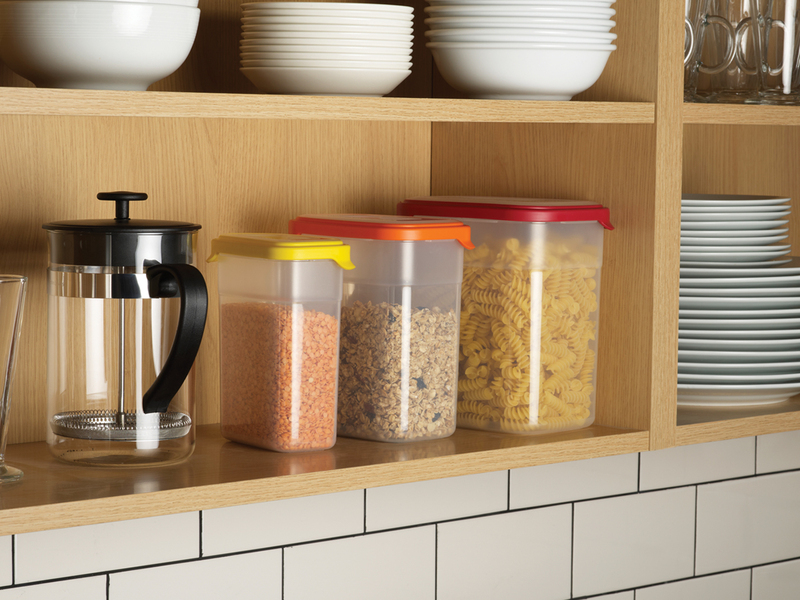 “Nest™ Storage is a hugely successful collection that provides a colourful, space-saving solution to the problem of storing bulky, awkward storage containers. 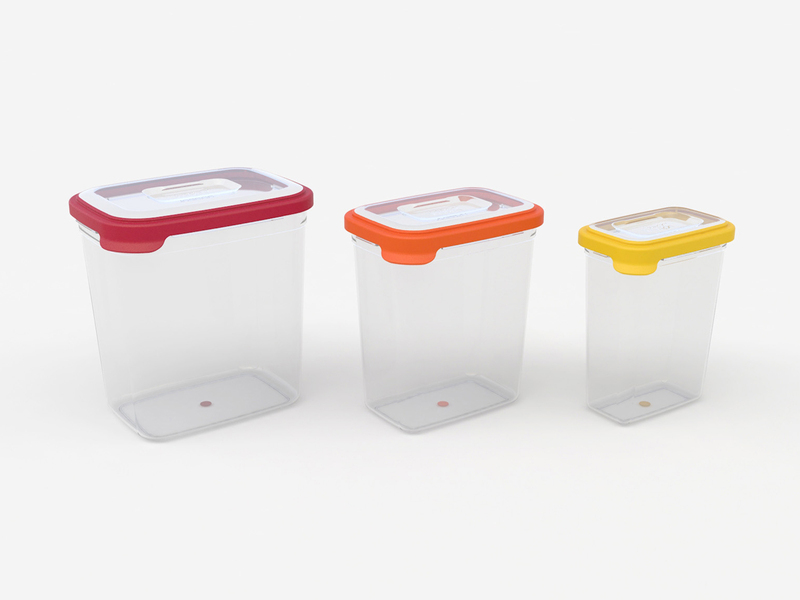 Its clever design allows you to store multiple sizes of container in the same space as the largest. 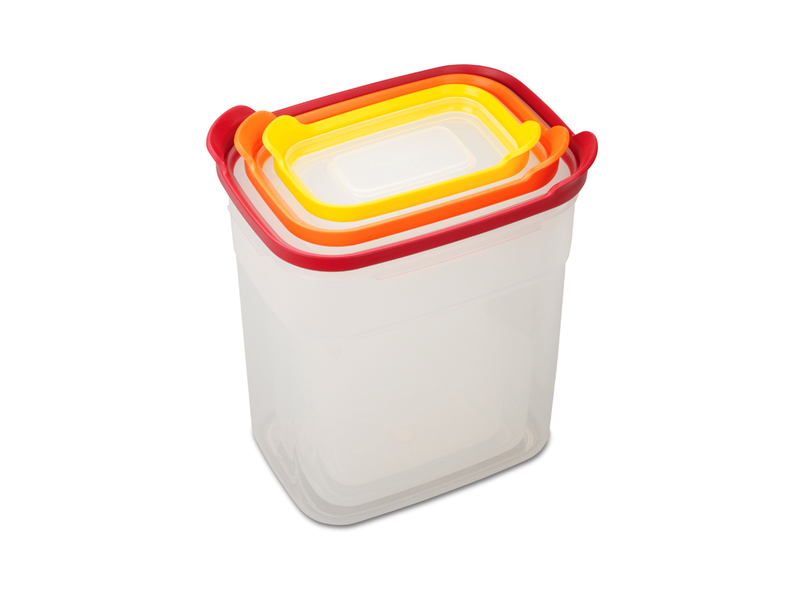 This 3-piece, tall container set is a new addition to the range and is perfect for storing pasta, cereals and flour. 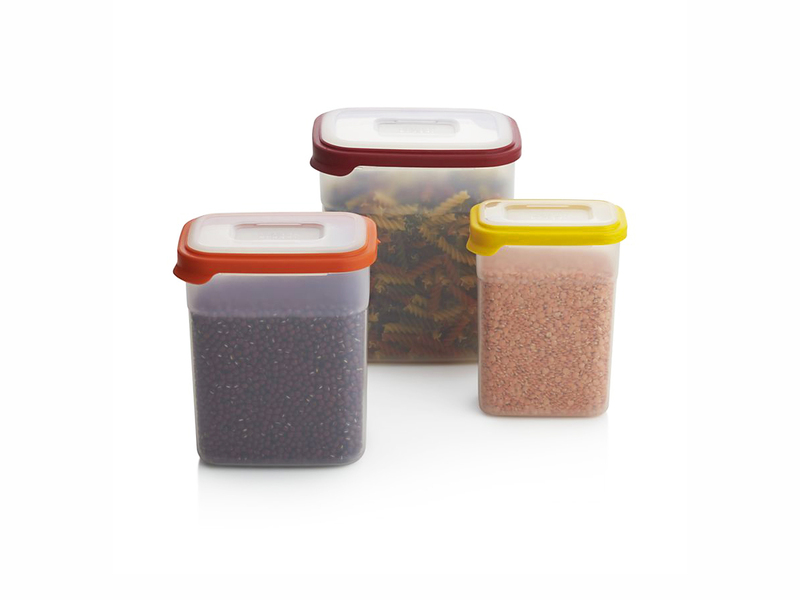 As with the rest of the range, the 3-piece set features easy-find, snap-together lids, airtight containers and clear colour-coding for easy pairing. 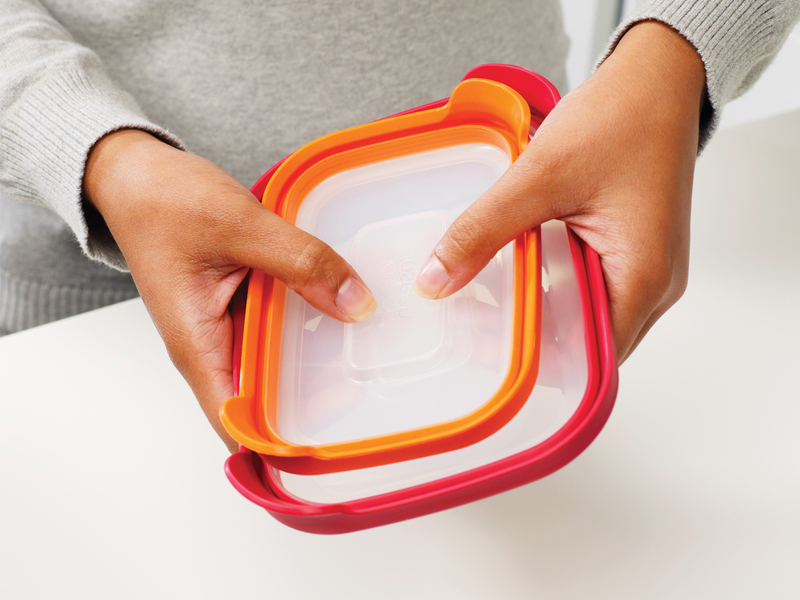 Before using in a microwave, remove lid and place loosely on top of container – do not close lid. 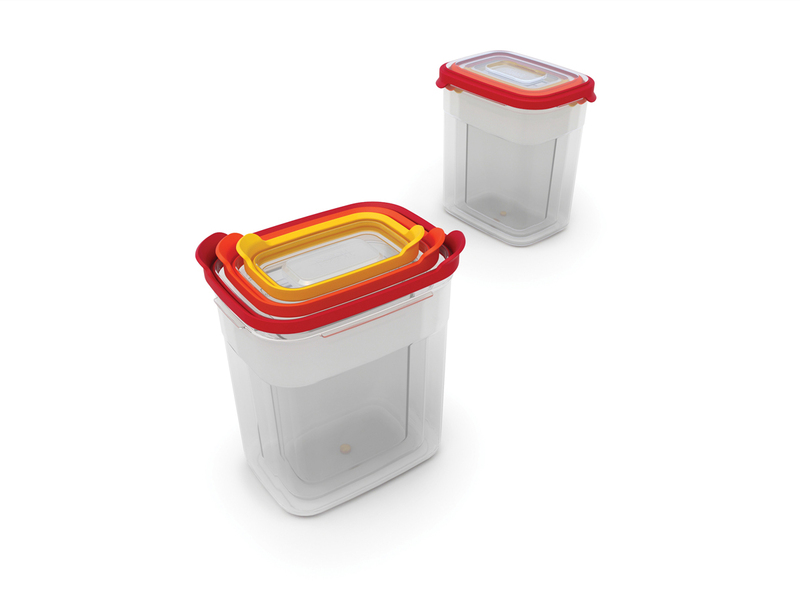 To prevent staining avoid using with strong colourants such as turmeric or tomato-based sauces. 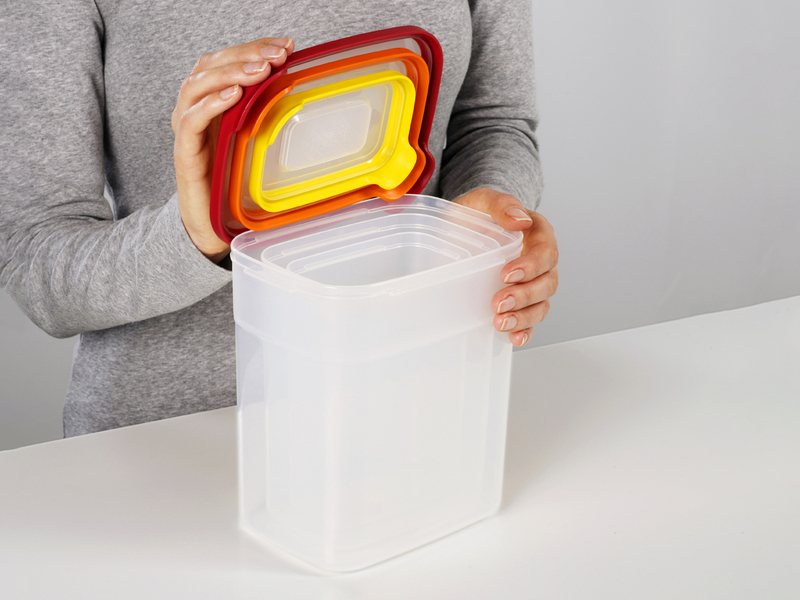 Not suitable for use in ovens or under grills.